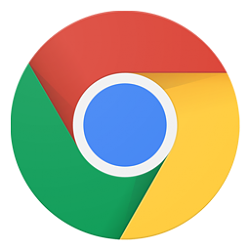 When you click/tap on the Home button in Google Chrome, it'll take you to your homepage. You can set your homepage to use the New Tab page (default) or to open to any webpage you want when you click/tap on the Home button. This tutorial will show you how to change the homepage in Google Chrome for your account in Windows. If you like, you could also enter chrome://settings into the address bar of Chrome and press Enter to directly open settings. 3. Do step 4 (New Tab page) or step 5 (custom page) below for what you want your homepage to be. B) Select (dot) New Tab page, and close the Settings tab if you like. B) Select (dot) Enter custom web address. C) Enter the URL (ex: www.tenforums.com ) of the webpage you want for your homepage, and close the Settings tab if you like. All times are GMT -5. The time now is 06:06.